After passing the written entrance test, oral interview, fitness test, background check, etc., you will then be sent to the training academy. Recruits are paid while attending the training academy. These academies can differ as to what is taught and how things are conducted. Most academies require students to achieve a 70 percentile in order to pass. 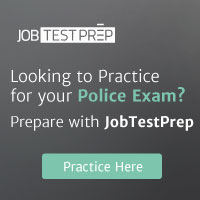 Failure to pass academics, firearms, physical training or driver's training could result in the recruit being dismissed from training and therefore not receiving a badge and gun. Listed below is a general idea of what you can expect at the various training academies. Most federal law enforcement agencies conduct part if not all of their training at the Federal Law Enforcement Training Center (FLETC) located in Glynco, GA. Aside from the outdoor ranges and driving track, FLETC has the appearance of a college campus. On any given day, there could be 2,000 students training at FLETC. FLETC is comprised of retired federal, state and local officers who are now full-time instructors. There is also a contingency of active federal agents who are temporarily assigned to FLETC as instructors. FLETC offers a variety of training programs including advance training for senior agents as well as training for state and local officers. New recruits usually attend either the Criminal Investigator Training Program (CITP) or the Uniformed Police Training Program (UPTP). 1811 criminal investigators attend the 11 week CITP. This may be a mixed class of agents from the Secret Service, ATF, Immigration and Custom Enforcement and other criminal investigative agencies. This program provides basic and fundamental training in the techniques of conducting criminal investigations. Courses of study include constitutional law, search and seizure, interviewing techniques, surveillance, undercover operations, arrest techniques, driver's training, defensive tactics, firearms and more. The UPTP is for federal officers who usually work in a uniformed position. This includes the Secret Service Uniformed Division, the Capitol Police, the Mint Police and more. This program provides training in basic law enforcement knowledge, skills and abilities. Courses of study include constitutional law, interviewing techniques, report writing, arrest techniques, driver's training, defensive tactics, firearms and more. Upon graduating from the FLETC program, recruits usually then attend their agency's training academy to learn the specific duties of their job. Some agency academies such as the U.S. Marshals Service are located at FLETC. Students then continue their training with Marshals Service instructors who teach the specific duties of being a Deputy U.S. Marshal. Other agencies such as the Secret Service have their training academy located at another facility. Upon graduating from FLETC, Secret Service Agents and Secret Service Uniformed Division Police Officers then go to Laurel, MD to attend the Secret Service Training Academy. While at FLETC students usually stay on center in a dorm like facility. Some students may be housed in a local hotel if the is not enough room on center. There is a cafeteria-style dining room, classrooms, recreational facilities and a convenience store. Some agencies may have a curfew but students can generally come and go when class is not in session. Classes run Monday - Friday and sometimes on the weekends. A typical day runs from 7:30 a.m. to 4:30 p.m. Listed below is the link to the Federal Law Enforcement Training Center. Most states have a training academy that is funded by the state and provides basic and advanced training for State Troopers. Students are required to stay on center in dormitories which are sometimes open-bay dormitories. There is usually a separate classroom building and a cafeteria-style dining room. Basic training for troopers usually lasts around 25 weeks. State Police Training Academies are usually very disciplined and regimented. You will walk in formation and line up for inspection. During the week you are usually required to spend all of your time at the academy. On Friday night, you may be granted "liberty" and allowed to leave the academy for the weekend returning on Sunday night. Wake up call is given at 5:30 or 6:00 a.m. for the students to start their day. Classes typically start at 8:00 a.m. and end at 5:00 p.m. Most academies have a "lights out" policy around 10:00 p.m.
New recruits will be trained in a variety of subjects including constitutional law, state law, report writing, defensive tactics, driver's training, crimes in progress, critical incident response training, responding to a suicidal person, traffic crash investigation, vehicle and traffic law, speed enforcement, DWI enforcement, arrest techniques, physical fitness and more. Listed below are some links to three state police training academies. They give a good overview of what it is like to train for a state trooper. Most larger cities such as the Los Angeles and New York have their own training academies to train their city police officers and deputy sheriffs. For smaller departments, it is usually not feasible or affordable to operate their own academy. Therefore, they will send their recruits to a state run law enforcement training academy. These state run academies offer basic law enforcement training that is accredited by the Peace officers Standards and Training (POST) Council. One benefit to these state run academies is that you can sometimes attend them even though you have not been hired by a department. You would have to pay for the training. Upon graduating, you would receive a basic law enforcement certification. Possessing this certification makes you more attractive to smaller police departments. It shows them you will do what you have to, to get a job and it also saves the department money because they do not have to send you to the training academy. Training academies for city and county law enforcement officers are similar to a state trooper academies. Some may not be quite as regimented and others may not require students to reside at the training center. Courses of study include constitutional law, state law, arrest techniques, booking procedures, report writing, cultural diversity, radio communications, driver training, firearms, non-lethal weapons, community relations, building searches, physical training, defensive tactics, and more. Listed below are some links to city and state run training academies.